I was born in Plymouth, England in the late fifties. Dad was an oceanographer, so we moved around a bit. At the age of six, I took my first airplane ride: an Atlantic crossing in a Pan-Am 707. While dad took a sabbatical at Scripps, I attended La Jolla Elementary, where they put me in a remedial reading program. Thank you, Dr. Seuss. I wrote my first story there. We went back to England on the Queen Elizabeth. During two years attending a public school in Plymouth, I devoured all the Dr. Doolittle and Professor Branestawm books; anything that made me laugh. We moved to Winnipeg, Manitoba when I was nine. At around twelve, I first handled the controls of an aircraft- a glider at my brother’s club. First deadline: stayed up all night to finish my grade six homework, a mystery story. I still have it. It’s awful. Became a Canadian, and last time I checked, I still had dual citizenship.I paid a visit to England at fifteen, and on a side-trip, crossed the English Channel by hovercraft. By then I was devouring science fiction and anything that looked like it. Around then I wrote my first science fiction story, about a research vessel that retrieves an alien probe from the ocean. I managed a twist on the ending, and the teacher asked me to read it out loud for the class. I finished high school by correspondence from Cronulla, New South Wales while dad was on sabbatical in Australia. While there I visited the Great Barrier Reef in a flying boat at seventeen. Back in Canada, university didn’t work out. I failed all my science courses, but aced Medieval Literature. It did not penetrate that I was better with words than numbers. I dropped out and learned to fly at eighteen, near Winnipeg. My first writing sale was a humorous anecdote from my flight training days for Reader’s Digest. It made the International edition, and paid $200. I got serious about my hobby of writing science fiction a few years ago. I started taking writing workshops and attending writing gatherings in Kenora and Winnipeg. I adopted the pen name Timothy Gwyn and wrote a science fiction short story that won a prize. The contest was small, but the judge was Robert J. Sawyer, a famous Canadian author of SF. 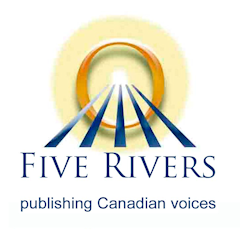 I have completed one novel, pitched it to publishers and signed a contract with Five Rivers. Avians is an SF adventure about girls, gliders and airships, and it’s tentatively scheduled for release in August of 2017. I’m working on a sequel, and I’ve also published a couple of short stories, with more to come. Those years as a radio announcer weren’t wasted; I’m active on the narration team for the podcasts of Antipodean SF. Many of my vacation trips are now built around a SF conventions, and my travel blog (formerly known as Tim’s Road Noise) has been merged into Timothy Gwyn Writes as the two interests became interwoven. Do you not have a contact link anywhere? This seems like the best place to say hi anyway. Just finished a Aviens which I was lucky to get as a review copy from FiveRivers. Once I’ve got my words together it’ll be on LibraryThing. I’m so impressed I came looking to see what else you’ve written. I do hope you’re working on another novel – either a sequel to this one a bit later in the girl’s lives, or from another viewpoint? (the colony ship would be fun?!) or somewhere else in the same universe where colonists face different problems. (or even historically into why the Converted are so scared of giving metals to Naturals). I was so impressed with the worldbuilding, thought and care that had gone into it, the consequences of why and how they’d have live like that – without being overwhelmed by the details that we didn’t need to know.. It’s a really difficult balance to get exactly right, and something I always appreciate in my reading. Add in some fun characters, and a dash of action, and it really was a very enjoyable book. Are your short stories available online anywhere? I’ll certainly keep an eye out for your future works. Best wishes for the publishing future!